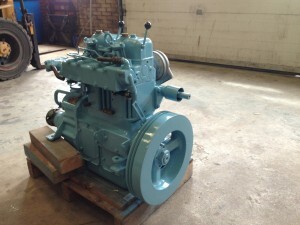 Last winter, the Volvo Penta MD2 engine of Astolat has partially been rebuilt. 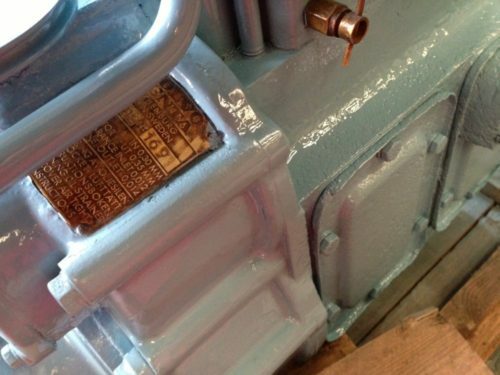 The cylinders have been replaced by others with less wear and have been honed, new ones are no longer obtainable. One piston has been replaced by another one in better shape and new piston rings were installed. 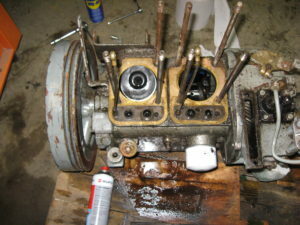 Furthermore the valves have been done and the big end bearings replaced with new ones. 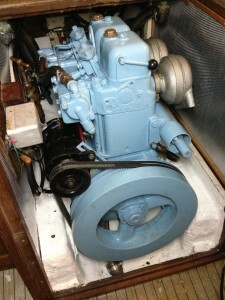 Finally, a new water pump with bearings gives a little higher output. The cooling channels turned out to be very clean as a result of descaling it with Star Brite engine flush some years ago. 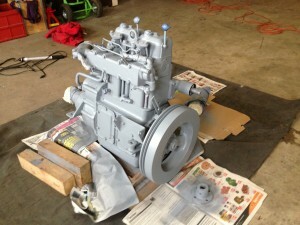 The reassembled engine ready for painting. 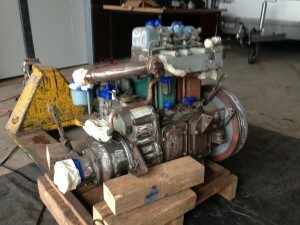 The original colour of this engine was not green, but a grey/blue colour still visible on the back of the flywheel and the fuel filter. The green and red cylinder came from another engine. Looking much better now after a coat of primer has been applied. Ready! Painted with engine paint VHT SP122. The engine installed with new engine mounts and new engine room insulation (Vetus), covered with perforated aluminium sheet. The top speed has increased with about 1 knot to the former top speed of 6.1 knots Astolat used to have. Not bad for just 15.5 hp. The engine plate showing no 169 indicating this is a very early produced one. Wondering if that would be 1965 or 1966. The instruction book that comes with Astolat is printed in 1964, while the workshop manual is printed in Dec. 1966. This entry was posted in Engine on June 15, 2013 by admin.